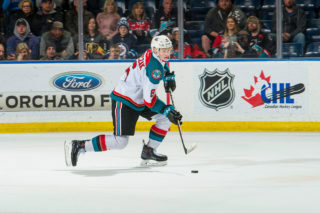 The Kelowna Rockets have won three games in a row and six of their last seven. They look to continue their winning ways this weekend with a pair of home games starting tomorrow night against the Spokane Chiefs. 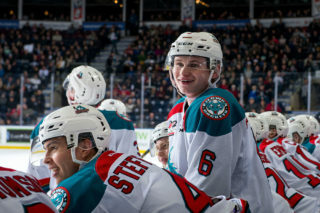 The Rockets have been hot in the month of February going 6-1-0-0 with their only loss coming to Kamloops. They are 7-3-0-0 in their last 10 games. 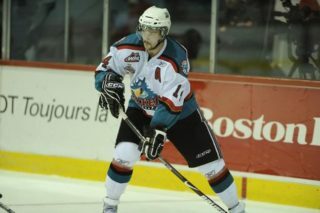 Kelowna sits four points back of the Blazers for 2nd in the B.C. Division, although Kelowna does hold two games in hand. Their record stands at 33-20-4-0, good for 70 points, while Victoria is nipping at their heels only 4 points back of 3rd place. Spokane is trying to push their way back into the playoff picture as they currently sit in 5th place in the U.S. Division and 9th place in the Western Conference with a record of 24-24-6-3 and are 8 points back of Portland who is currently in possession of the last remaining Wild Card spot. 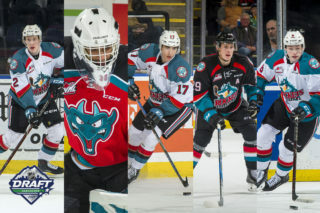 The Rockets will then face the Prince George Cougars at home on Saturday for their Talk Today game, in partnership with the Canadian Mental Health Association Kelowna. 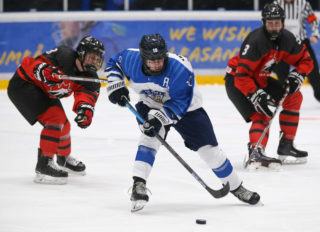 The Cougars are holding down top spot in both the B.C. Division as well as the Western Conference with a record of 38-17-3-1, translating into 80 points on the season thus far. This will be the third meeting of four between the Rockets and Chiefs, with Spokane taking both games in overtime by scores of 3-2 and 2-1. The Rockets have faced Prince George six times previous to Saturday winning the two most recent meetings 3-2 and 5-1 in Prince George. After the games this weekend, the Rockets will have 13 games remaining, seven of which will be against B.C. Division opponents, 5 against U.S. Division opponents, and one game against the Edmonton Oil Kings from the Central Division. The Rockets will finish up their four game home stand against the Oil Kings on Wednesday February 22nd, with puck drop going at 7:05.